We are going back in the days and retrieving accomplishments. 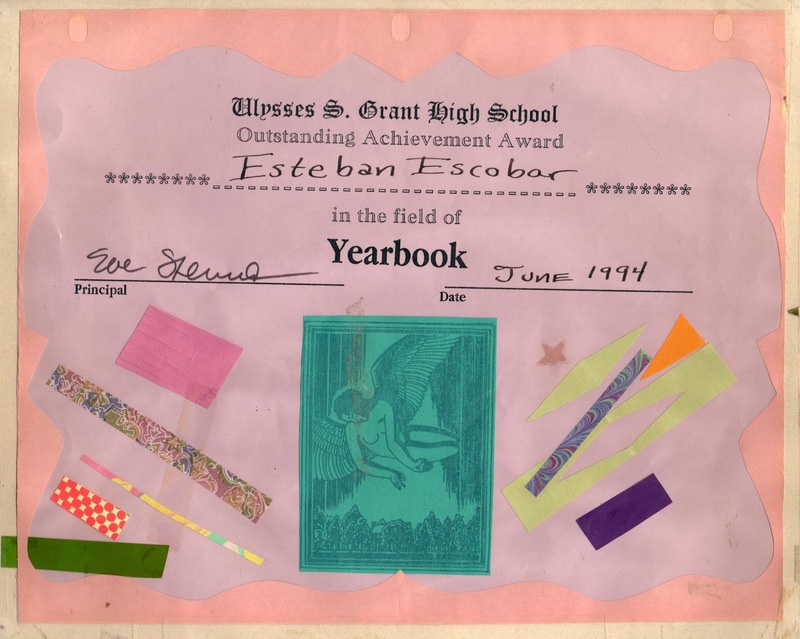 Now let me share with you U.S. Grant High School Outstanding Achievement Award in the field of Yearbook to Esteban Escobar. Thank you.